I wanted to invite all of you to my new Atlanta Makeup Meetup. It's also a pre-event to the Atlanta Makeup Show Pop Up. We're having a networking session with Celebrity Makeup Artist Bethany Townes of The Makeup Show. She will be sharing a weath of information as well as a demo. I know Bethany personally and she is a sincere, inspirational artist. I always urge everyone to take advantage of events like this. You learn so much, meet great contacts and are motivated to push on with your makeup journey. 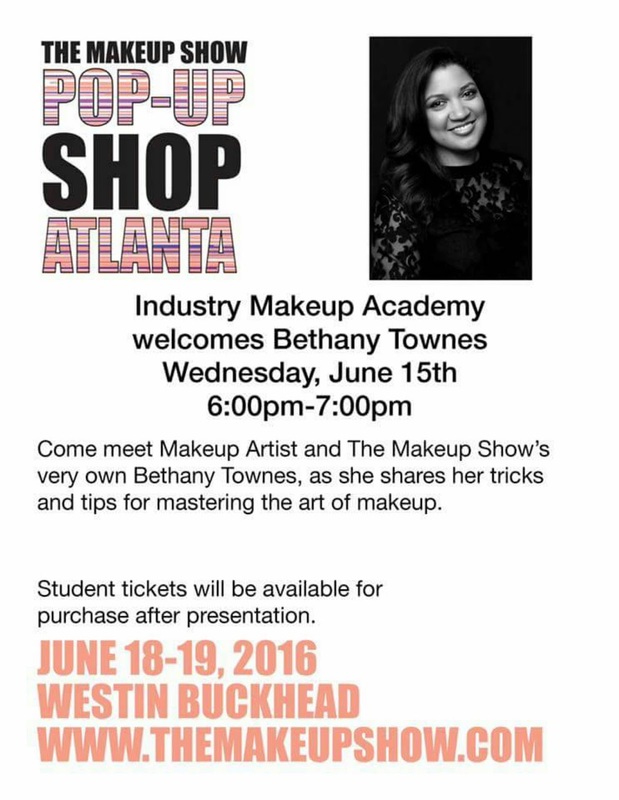 I will also be giving away a free ticket to the Makeup Show Pop-Up Shop Atlanta. You'll have free entry to the show, the exhibitor hall with huge discounts from name brand makeup companies, as well as access to tons of valuable makeup seminars. To win, make sure to RSVP at www.meetup.com/Atlanta-Makeup-Meetup. You can also RSVP to the Makeup Show Pop Up - those who RSVP will receive a free gift at entry. I will be providing the names to the Makeup Show.